Our first workshop of the year is over—and it was great! We had about 20 guests (woo hoo! ), and they all seemed to have a fun time. Sara did great at demonstrating a beautiful springtime card (I've posted it here), and Shalae demonstrated a simple 3" x 3" card. She did wonderful too—and it was her first time EVER doing a workshop, so I was especially proud! We greeted everyone and did the two demonstrations plus a quick catalog tour and still plenty of time for everyone to enjoy the yummies (didn’t Shanna do great? ), look at the display projects, and visit. Since all but three of our guests knew each other, there was a lot of chatting—and almost everyone mentioned at least once that they hoped we’d do it again! Each time I do a workshop I learn new things, and this workshop was no exception. It was interesting that, even though I mentioned Sale-a-Bration at the beginning, we still had to upsell a few of the orders. I guess not everyone initially understood the importance of that $50 order! (smile) But every order did eventually top that magic mark! One guest mentioned that we should do this at least once a month—just come on over to the house and stamp (using all my supplies, of course) and visit. I understood her enthusiasm (don’t we all?) but wondered how she thought demonstrators made any living if they just invited everyone to come make projects, without ever getting any orders. (smile) And I have to admit that, given the number of guests, our workshop total was less than I expected, which was a reminder that we are all still working in a tight economy with people who are being very careful with their money. It was great to experience the workshop environment and to be reminded of the challenges—and rewards—that our Stampin’ Up! demonstrators deal with every day. We determined to Stampin’ Up! events more often, so we could stay familiar with what real life is like for our demonstrators. As we bid our last guest good-bye last night (MUCH later than we anticipated, given that the workshop had ended more than an hour before), we commented on how much people NEED the fun and socialization that comes from gathering together at a Stampin’ Up! event. 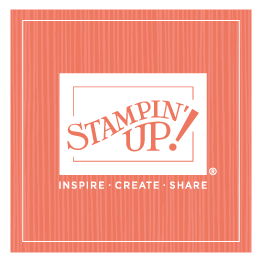 Every single time I host a workshop, regardless of the crowd, I am gratified to see the joy that comes from sharing creativity and strengthening relationships—that’s what Stampin’ Up! is all about!